Black Thought is one of the most underrated lyricists of our time; hell, all time. Real talk. And it’s happened right underneath our noses. America gets a good look at him every single weeknight on The Tonight Show and yet still, many don’t realize who he is. He’s been in the game since the late eighties as part of the one-two punch core that made The Roots THE ROOTS, and a lot of people wouldn’t be able to pick him out of a lineup. He’s probably in very few of your Top 10s (or top 20s), but he should be. He is Tariq Trotter — more than just an emcee from Philly — but his name is Black Thought and he is far from extra ordinary; he is extraordinary. Originally a visual artist, Tariq switched art forms in high school once he saw a group of his more musically-inclined peers swooning the ladies in between classes and wanted in on that action. He sought out the overly gifted, more reserved Ahmir Thompson, because he had the best beats in school and together they got busy. 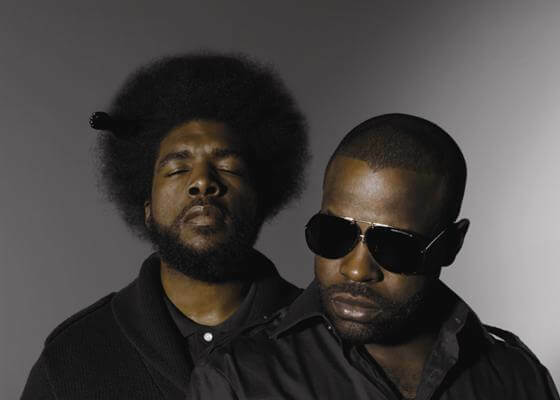 The two of them would form the core of the Legendary Roots Crew we know today: Black Thought and QuestLove. As for the boys singing in the hallways? We know them today as Boyz II Men. 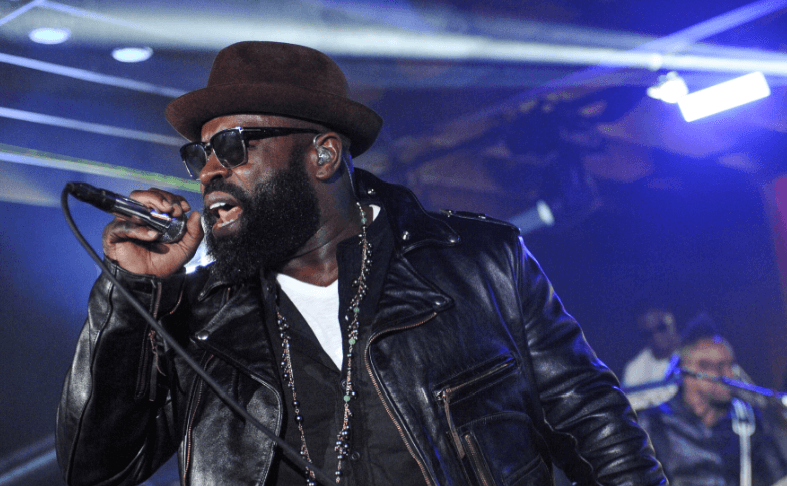 Over the years, Black thought has been at the forefront of each of The Roots’ 11 studio albums. Some stand out tracks include “Pass The Popcorn”, “Break You Off”, “The Fire” and the Grammy-winning “You Got Me” written by Jill Scott and sung by Erykah Badu; on all of which he is the lead vocalist, while somehow receiving only little acclaim. Why is this? 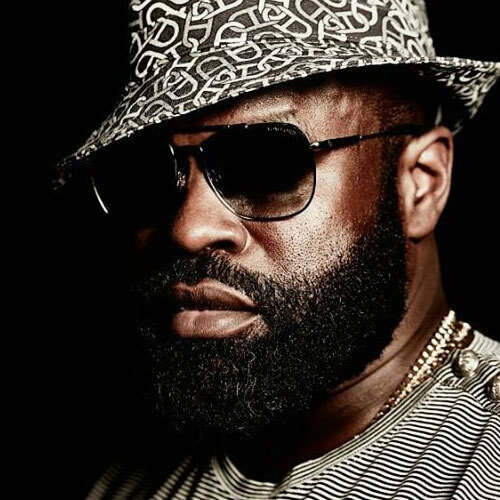 Part of the reason why Black Thought is overlooked is because he is part of a Hip Hop band. That’s right, a Hip…Hop…band, fully equipped with guitars, keyboards, and a drum set. You don’t hear that every day, do you? Probably not. Another possible reason for such little acclaim? QuestLove. Even though QuestLove makes a living on the 2 and the 4 like nobody’s business, Black Thought is the heartbeat of The Roots, thumping just as steadily as a metronome the past 30 years. No matter how much the band has chosen to experiment over the years, we’ve learned to count on Thought to bring it home with a flow that’s consistent and rich. He keeps it real, and that has always been what has kept The Roots alive. Of important note here is the stark contrast in personalities between the group’s core members. 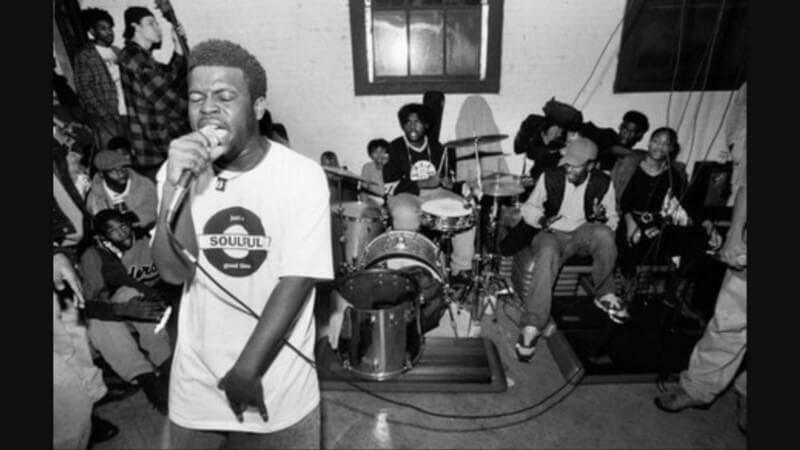 Whereas QuestLove was a musical prodigy, playing the drums as early as age three and touring with his father’s group (Lee Andrews Band) by middle school, Tariq was raised in a home with parents that were active in Philly’s Nation of Islam scene, both of whom were murdered before he finished high school or was even taking rap seriously. These experiences shaped both of their outlooks on life as well as the music they’d go on to create. Similar to Outkast, A Tribe Called Quest, and Public Enemy, sometimes a little contrast goes a long way in the making of an iconic musical duo. As long as Quest was on the drums, Thought could keep it real and ride the pocket. Up until 1992, the group went by the name The Square Roots. Debuting in 1993 w/ Organix, he showed his early prowess on tracks like “Pass the Popcorn” and “Good Music”. Similarly on their sophomore release Do You Want More?!!!??! (1995), Thought shined over skeletal and raw beats without coming off as underdeveloped. Tracks like “Lazy Afternoon”, “Proceed”, and “Essaywhuman?!!!?? !” are what drew widespread attention their way early on. If you listen, you can hear a very early mastery of live vocal delivery that went hand-in-hand with the instrumentation that characterized so much of The Roots’ style. Dedicated to the one-dimensional, non-creative MCs, this track further solidified Black Thought as ill rhyme-spitter though it may have stuffed The Roots further into that ever-dangerous “conscious” box that I’m not sure they ever made it out of to this day; not that they would even want to anyway. Authenticity isn’t always appreciated in entertainment but at the end of the day, keeping it real will only kill you if you end up lettin’ it. Their next album in 1999, Things Fall Apart (recorded during the Soulquarian era), saw Thought and the group go platinum on the heels of lead single “You Got Me” w/ Badu and a young, straight-outta-Philly, Eve. A little older, and more mature, Thought had more ammo for his lyricism this time around, winding us in and out of breaks with tales of love, fame, and Hip Hop itself. Even when rapping alongside features like Common (“Act Too: Love of My Life”), Mos Def (“Double Trouble”), Beanie Sigel (“Adrenaline!”), and Dice Raw (“Ain’t Sayin’ Nothing New”), listeners never got the feeling that he was out of his element. His rock is as steady as the clock; always in control, always keeping it real. 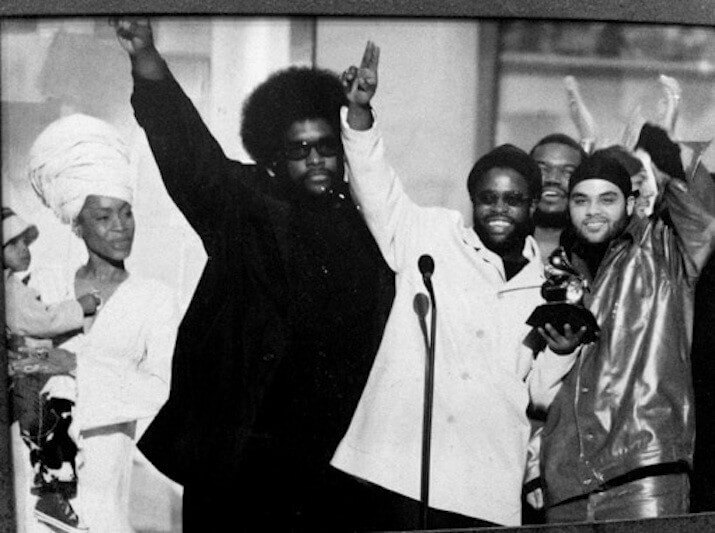 In addition to winning the 2000 Grammy for “You Got Me”, The Roots were nominated for Best Rap Album that year, losing to Eminem’s The Slim Shady LP. 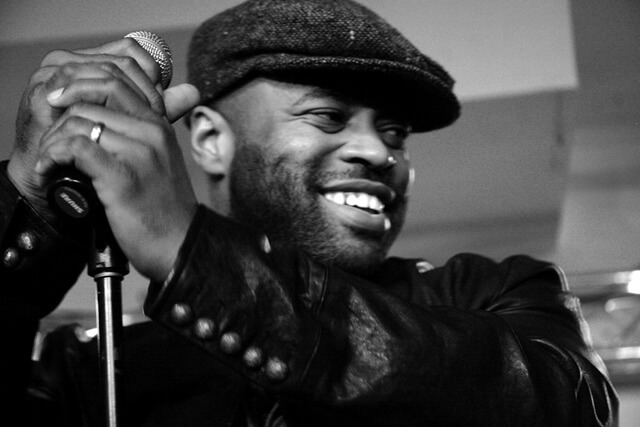 Throughout the early 2000’s, Black Thought would continue to display his brilliance. Though the group never managed to climb back to the acclaim they shared earlier in the decade, they weren’t going to break their stride reaching for it either. They stayed true to themselves throughout, and this is no more evident than in Black Thought’s lyrics specifically. Some of my favorite songs of this era are “Water” (2002), “Stay Cool” (2004), and “Clock With No Hands” (2006), all of which you may have heard before. Additionally, this era also so Tariq spit alongside other young Philly artists like Musiq Soulchild (“Break You Off”) and Jill Scott (“Complexity”); both of whom would go on to receive more acclaim as individual artists than Thought. But remember, keeping it real will only kill you if you end up lettin’ it. No sweat. BT has always had a way of setting the table and keeping his listeners laser-focused throughout any track. His flow and demeanor are militant, as if he’s the general of the army of our collective minds, with enough courage and bravado to fight the war alone if he has to. Even into the late 2000’s, as the size of the band began to swell, there was never a doubt as to where their bread and butter was. No matter what transpired over the years, The Roots never strayed far away from who they are at their core: two dudes with a mic and a drum. With albums Rising Down (2008), How I Got Over (2010) and Undun (2011), Tariq became incredibly politically charged. He is rather dense, and sometimes dark, but still on point as always. It is within these albums that we observe some of his most introspective output. See tracks “75 Bars (Thought’s Reconstruction)”, “Dear God 2.0”, and “I Remember”. Almost counter-intuitively, as Thought became more politically outspoken and inflammatory, The Roots’ fame increased. Rather than being ousted by the mainstream for having unapologetic views and aggressive stances (we’ve all seen this play out before), they were embraced yet again, except this time it wasn’t with a Grammy; it was a TV deal. By the time the 2000’s decade was over, they were Jimmy Fallon’s late night house band on NBC and since 2014, they’ve been with him on The Tonight Show. Yep, you can find Black Thought, fully bearded, fedora in tow, with his shades on leading his Hip Hop band on America’s most popular late-night show. He’s cracking jokes, ad-libbing to bumper music after commercial breaks, and even acting in some of those corny sketch skits in front of the entire country in what seems to be a dream job. 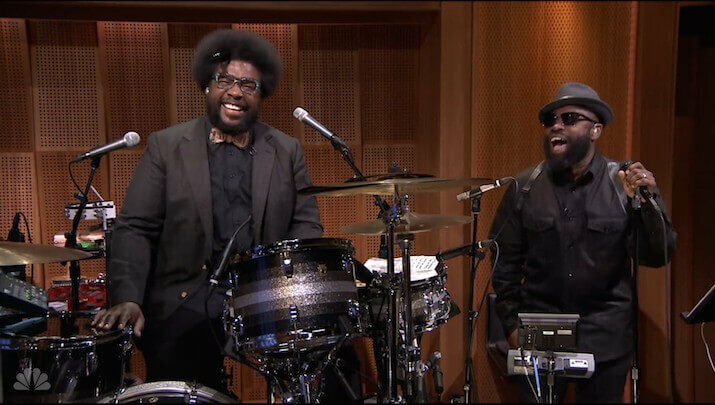 The Roots on The Tonight Show w/ Jimmy Fallon. Not bad for a high school kid just trying to get laid, huh? The same cat from Philly that started raging against the machine with his classmate, that then grew up to talk s*** about Puff Daddy on wax (allegedly), while somehow managing to win a Grammy without ever selling out or dumbing down his views on racism, class-ism, and authenticity is a household name almost thirty years later; even if you don’t know who the f*** he is. He’s alive and kickin’. I guess keepin’ it real will kill you ONLY if you end up lettin’ it. For even more gems on Black Thought and the rest of The Roots, I recommend reading QuestLove’s autobiographical Mo’ Meta Blues.